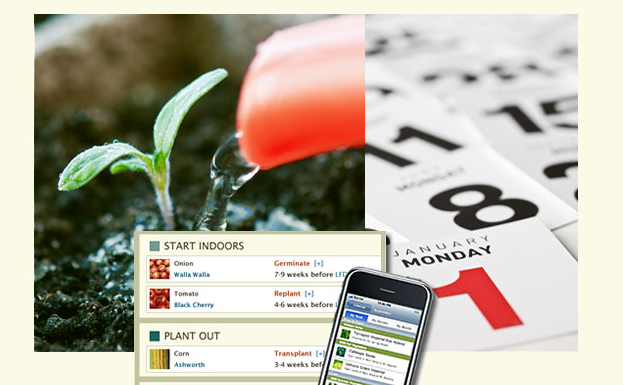 Smart Gardener is an internet based productivity tool that enables enthusiastic gardeners to easily design, grow and harvest a successful organic vegetable garden. With all the ambiquity surrounding food these days, it seems most of the food we eat is manufactured not grown, leading us to question -where does our food really come from? In most cases, there is one conlcusion: to truly have complete control on what we eat- we need to grow our own food. Smart Gardener is built with proprietary IP and delivers consumers highly personalized online tools and garden plans based on key inputs including geo-location and household size. Their service is also differentiated by a complex weather mapping algorithm, an extremely rich database of over 500 plants, as well as ecommerce to purchase the best organic seeds available online. Smart Gardener is the first of a new breed of digital products from Smart Living Studios, LLC, a company in the northern California Bay Area founded to build a positive and tangible difference in peoples lives. We interviewed founder Krsitee Rosendahl, who has spent the last 26 years working across digital product development, user experience, design and management to build innovative new digital products and applications. Tell us a little bit about what inspired you to start Smart Gardener? In 2006, I moved to a rural property in Sonoma County, CA to enable me to pursue a more “hands on” lifestyle while still working in the tech field. I jumped into food gardening, started to revive an old apple orchard for hard cider, and started beekeeping. All this while trying to run a consulting business meant I wanted to both enjoy my time outdoors while being efficient and successful with the results. Frustrated every weekend about what to do in the garden, I resorted to reading dozens of gardening books, designing spreadsheets, and spending hours online. Further frustrated with those results, I began building the first prototype in 2006 of what would become Smart Gardener today. I just wanted a way to know what I should be doing specifically for my garden each weekend to keep it healthy in order to harvest the best food I could grow. While refining the prototype, I spent time with lots of gardeners, and “want to be” gardeners who confirmed to me that there was an eager market out there wanting to be successful at growing tasty healthy food. We all had different levels of gardening experience, but we all shared the issue of time and convenience. During this same time, I saw a larger trend emerging – an increased desire and need to reclaim personal self-sufficiency on both a personal and social level. I decided to take the leap and start working on the product full time in 2010. It seemed many trends were converging – food, green, and sustainability issues, fueled by social movements and behavioral changes as well. The time seemed right to build this product given all this momentum. I think that it’s really what distinguishes an entrepreneur – they see an opportunity to connect the dots, and feel compelled to take it from thought to action. In part II of the interview, Kristee shares her experiences on building an eco- business. Stay tuned!